A loan of $925 helped to increase capital for her pharmacy business. Phe is 66 years old and has five people in her family. Her main job is to sell drugs. She also cooks for weddings and conferences upon request. She would like her business to have long-term sustainability and development, and she is willing to invest in it. She would like to invest in her pharmacy business and hopes to become a pharmacy distribution agent. She needs capital now to make that happen, which is why she is requesting a loan from Kiva. She believes that her income and the living conditions of her family are improving, and hopes that she will save money for the future. With support from other family members, she can pay the loan monthly. It empowers female entrepreneurs living in remote rural communities. This loan is designed for entrepreneurs who have already started a business and are looking to grow their ventures. The loan serves as expansion capital to enable entrepreneurs to purchase the necessary additional supplies or equipment to grow their young business. By supporting this loan, you are helping to grow employment opportunities in historically disadvantaged communities. QBWDF is a social fund dedicated to increasing health and sanitation in poor communities in Vietnam through the construction of household latrines. QBWDF provides loans to low-income women to pay for the material and labor costs of constructing these latrines. Using funding from Kiva, QBWDF will be able to provide loans to women living in Le Thuy and Quang Ninh, the districts in Vietnam with the highest need for improvements in sanitation, through construction of household latrines. Kiva supports QBWDF’s goal to improve the sanitation and health of low-income, rural communities. Kiva’s mission is to provide loans to those who have the most need and least access to necessary resources. 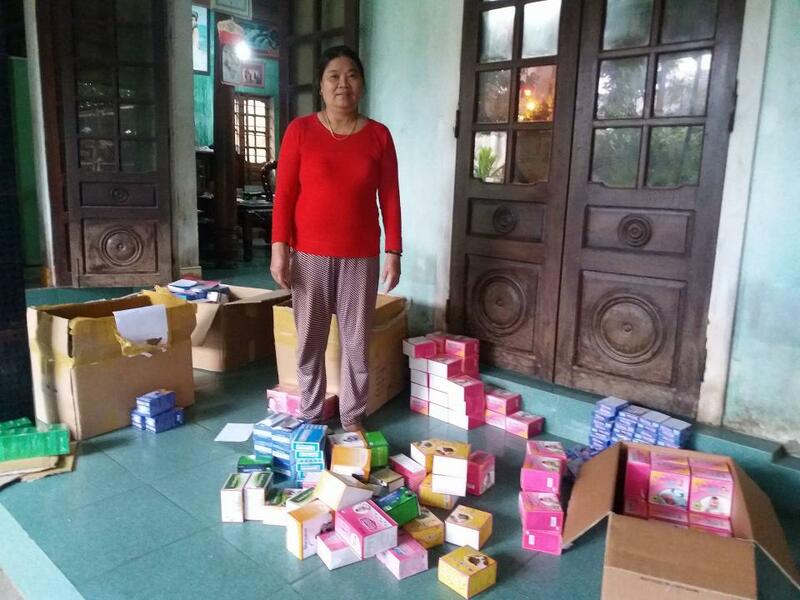 QBWDF provides loans to women in the Le Thuy and Quang Ninh districts of Vietnam, which are the districts with the highest need and demand for sanitary latrines in Quang Binh province.